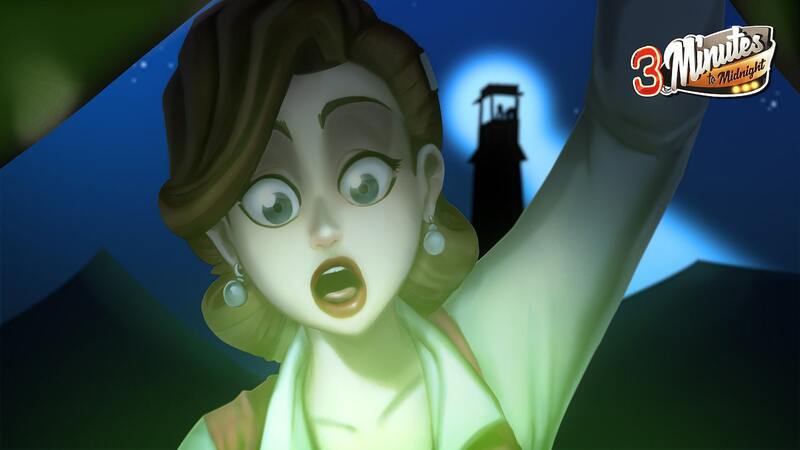 Scarecrow Studio have announced that 3 Minutes to Midnight will release on Nintendo Switch, a point-and-click comedy adventure that takes inspiration from LucasArts classics like The Secret of Monkey Island, Day of the Tentacle, and Sam & Max Hit the Road. When an explosion in New Mexico shatters the night, plucky teenager Betty Anderson wakes with a jolt. But, where is she? And, who is she? Whatever blew up in the desert has wiped her memory clean, but Betty has far more to worry about than amnesia. Whether that be a town full of people who aren’t what they seem, a corrupt mayor, a secret military base, the mafia, or a potbelly pig with a vendetta, there’s also a doomsday plot counting down to the extinction of the human race… It’s down to you to help to crack the conspiracy. 3 Minutes to Midnight will release on the Nintendo eShop for Nintendo Switch worldwide in mid-2019.